THE RIGHT PROGRAM IS ONE THING , THE RIGHT ONLINE MUSCLE BUILDING COACH IS EVERYTHING! This article was not written to promote the use of muscle building steroids often a taboo subject. .It was written in order to promote the responsible use of steroids. If you are using steroids always speak with your doctor and always get regular blood work done....BETTER THE DEVIL YOU KNOW. A... Front end loading-this cuts down on wasted time in the beginning of your muscle building steroids cycle, waiting for the doses to reach full therapeutic levels. The use of orals in the beginning of a cycle is a popular component of a cycle. While it is not a necessity, it too is a (different) type of front end load. For the advanced Bodybuilder, Dbol should be taken in the beginning of a cycle as well as loading the injectables since the anabolic response from Dbol is alleged to be by a different mechanism than most injectables. If one had to chose between a Dbol load and and injectable load, in most cases, the injectable load should be preferred over the Dbol load. 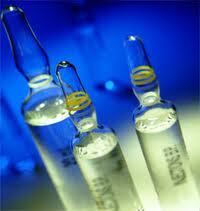 B...Injection frequency- This is crucial to obtaining even blood concentrations of androgens. Ideally, the more often injected, the better. An acceptable rule of thumb is "inject at half of the half life.
" 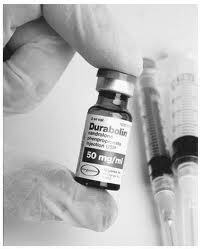 For instance, if the half life of muscle building steroids is 7 days, this should be injected at least twice weekly. For cycles that involve multiple injectables, the injections should be fractioned out and divided up based on the injectable with the shortest half life. If you were doing a test propionate and deca cycle, the old school way to do it would be to inject the prop EOD and the deca once a week. Both compounds should not be viewed as separate, but together with total androgen concentration taken into consideration. If you injected the deca only once a week, probably along with one of the propionate injections, that day will have a much larger spike on total blood androgen concentrations. Instead, the deca should be split up and taken with the propionate injections, EOD. This way there is no one day of the week that has a "spike" and even blood concentrations are maintained throughout the week. C.... Ending a muscle building steroids cycle- Switching to shorter esters toward the end of a cycle makes perfect sense however not too many guys incorporate this practice- perhaps because of the lack of variety of drugs. The modern cycle of muscle building steroids should include replacing long ester injectables with shorter ones so that recovery time is made more efficient. The necessity of switching to shorter esters toward the end of a cycle depends on the type of drugs used. Longer esters such as deca and equipoise should be replaced with shorter acting versions of these compounds no later than four weeks before the end of a cycle. Medium length esters such as t-enanthate and cypionate should be replaced no later than three weeks before the end of a cycle. 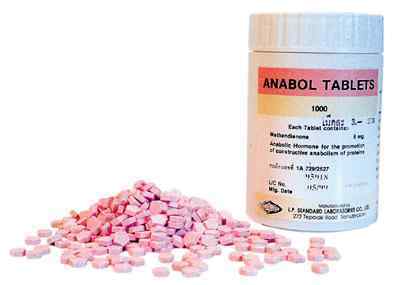 A couple examples of appropriate replacements are: trenbolone acetate and testosterone propionate. There is no need to "load" these compounds in the middle of a cycle since 1) they are already "fast acting" and 2) blood androgen concentrations are already high. Recovery of muscle building steroids. With the replacement of the faster acting injectables toward the end of a cycle, the "wasted" time between the end of a cycle and beginning of clomid therapy is reduced. For instance, if 100mg TA is used ED, clomid therapy may begin in as little as 5 days after the last shot. This tremendously improves time efficiency. Clomid Or post cycle therapy usually last for four weeks. When the above recommendations are made, your cycle itself is made much more efficient and if recovery time is made more efficient as well, time "off" AAS may very well be reduced so that the overall efficiency of AAS use over time is tremendously improved. Do you have a story about this? Share it! If you can add further comments, we would like you to share them with us. Got a question about the subject, throw it out there and get an answer.